This is a pretty cool video to check out. More than a thousands Springsteen fans got together in Spain to perform "No Surrender" from the Born In The U.S.A. album. This is pretty similar to the viral video of fans singing The Foo FIghters' "Learn To Fly," but this time it's got a Springsteen song as the subject. 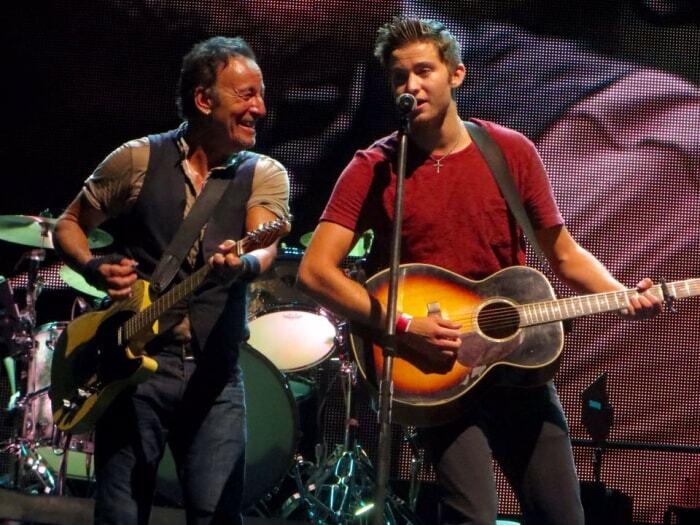 Last year, Matthew Aucoin, stole one of the Philadelphia shows as he played the same song with The Boss (photo below), and was for sure one of the many highlights from The River Tour 2016. Be sure to check out the pretty cool video of our friends over in Spain jammin' out below.